So you’ve enrolled onto your first marketing course and you’re already dreaming about the day when your clever but still kind of cliché marketing project will turn heads for your favorite brand. Until that happens you realize that you have to go through this ‘simulation’ thing in school. 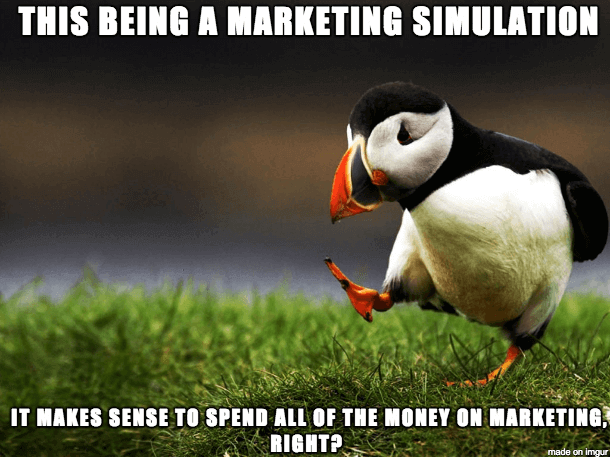 Whether you’re competing in a strategic marketing simulation (like Markstrat for example), a product marketing simulation (check out Cesim Simbrand) or simply a general business simulation game with a marketing dimension some of the tactics exposed here should work well in each case. This cheat sheet can get you ahead of your class but it comes with a warning: using the techniques outlined here is not going to help you learn as much as if you were to ask the right questions yourself. Go ahead, pat yourself on the back for doing the research on how to come out on top but you see, pondering about how something works does wonders for one's learning. So do that first and consider this article as the easy path to enlightenment should you get lost along the way. Winning this way will feel less good than if you were putting in the actual time and effort to come out on top on your own. Even so we can agree on this bit here: the purpose is to work smarter not harder, that's why you can expect general advice. Decisions: the input you have to introduce into the simulation interface so that it returns results. These can be either numbers, text or other simulation-specific items. Model: this is common parlance to refer to the way the simulation calculates results. It comes from mathematical model, a fancy word for a custom designed formulae. We will go through three stages, each one being more complex to carry out than the one before. Breathe in, breathe out. You’re not in it to win it. Almost all modern marketing simulation games will motivate you to outdrive your competition by gaining more exposure, more clients and building better products. Even if simulations usually unfold in a competitive environment the main goal for the activity is seldom just to win the game Once you realise that winning is not the goal here, it will make the whole process a tad more pleasant and will remove some unneeded pressure. Remember, it’s all about the journey, not the destination. If you don’t know what to promote and who you’re going to enchant with your marketing as well as the manner in which you’re going to do it then you can’t really do a good job as a marketer. Read the instruction manual. Ask questions from your instructor. Discuss the setting with your team but do find out at all costs if your €5 widget is worth marketing to the ‘acolytes’ virtual customer group. Makes sense right? However it’s not so easy as it seems. Modern simulations have turned into a triathlon of decisions rather than the traditional sprint. The better models will take you through a host of decisions before deciding whether you come out on top or not. This means that there is not just one thing which you need to do well but you must win at most or at all of the dimensions in order to ultimately come out on top. So first find out what you have to do to in order to gain small wins. Start out with a bit of fine-tuning and adjustment. In practice this could mean adjusting prices, introducing new products or setting out for new markets. The more boxes you check off this way the closer you can get to your big win. Needless to say that singling out which decisions are important and which are not will save you time and effort down the road. Failing to plan is planning to .. turn an otherwise fun experience into a bit of a nightmare. At a minimum your plan should cover the 4 P’s (product, placement, promotion and pricing). In the services industry people are now talking about 7 P’s, the other 3 being People, Processes and Physical Evidence. A good marketing plan will cover for all of these. But what happens if the simulation does not allow you to take decisions for one or more of these dimensions you ask. Does that mean that you’ll end up wasting all your brilliant creative ideas? While in your plan the focus should be on the components of the simulation, having an extensive plan will often inform most if not all of your other actions. Here is an example of how one decision can influence your company's policy across the entire marketing spectrum: deciding on the price of your offering will force you to think about the right amount and kind of product features while also locking down an audience which could potentially buy what you are taking to market. So by figuring out just the price, you eliminate the need to think about at least 2 or 3 other marketing decisions. Pretty neat, right? Not to mention that once you have your plan ready you will come across as much better prepared during your class presentation where you will explain the reasoning behind your decisions to your professor and your class. High five! One of the things you will almost never hear about what you should do in a simulation is to deliberately make mistakes. So go ahead, push all the buttons, enable all the channels, launch all the products, there is not a lot which can backfire. If you do good then you get some new clients otherwise you still win through experimenting. So it’s a win-win situation any way you want to look at it. In any case, if you are not sure about how your decisions will impact your results it’s important to use small increments when it comes to the experiments you’ll be carrying out. 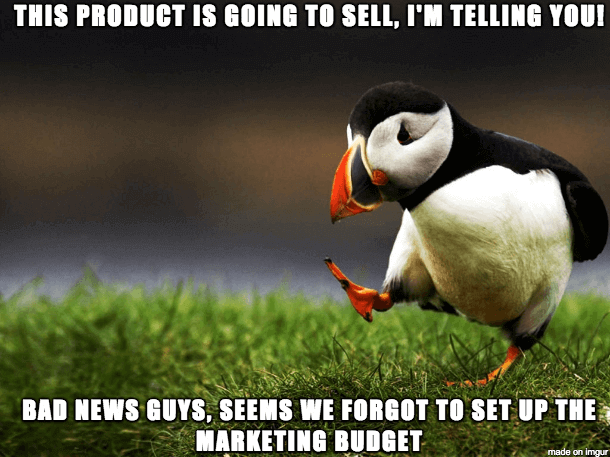 In practice this could mean that you would be changing the price only by a small amount, or investing a tiny bit into a minor improvement for a product, or likewise creating a new marketing effort just to test out things. Once you see the degree to which the virtual market responds to your actions then you can move on and use larger increments. By taking small steps in the beginning you can mitigate the risks of accidentally ending up with a disastrous decision. This will keep you in the race longer. However this doesn’t mean that whilst you’re playing it super safe the other teams won’t take up risky decisions potentially getting them to a more advantageous position. A well built simulation game will provide you with the option of placing several products in front of multiple markets/channels. There is a high chance that one of the product-market combinations made available to you will respond to your Machiavellic marketing efforts better than the rest. This means that at any one time the simulation model will have some sort of ‘flaw’ and by identifying it and using it you can expect increasing rent compared to all of the other alternatives. Game designers usually lay this out for you to discover soon after you experiment with the first and the most obvious option. In the more complex games there is also almost always a market & product combination which turns out to be a flop so you might want to use the results which the game provides as reports to quickly identify this combination. Part of the joy of playing a marketing simulation is finding out how each market responds to your efforts and almost every model renders resource allocation as the most important decision you will make during the game. If you’re serious about winning this thing then it’s best that you find out which is the most profitable alternative well ahead of the other teams. Let's face it, most edtech simulations are not too impressive on the graphics side. As if going through a quirky interface which looks like a mashup between a spreadsheet, a 90’s website and some long forgotten Science Fiction art is not enough you’ll find out that some game designers find pleasure in putting your decisions against those of the other teams. Most simulations will provide you with reports on the competition. Make sure to extract the most valuable market information or product strategies and keep an eye out for those early trends in the market. Keep in mind that most likely you will be looking at a past situation (kind of like driving using the rear view mirror) so don’t base your decisions just on the last round results. 1.Who are my direct competitors and what are their main products? 2.Which markets should I be selling into and what products should I promote on each one? 3.How has market competition changed since the start of the simulation? 4.How will the overall market environment develop in the next few rounds? First, look at how mature products/markets perform and if this is an evolving scenario (with fluctuations in demand) then make sure you can spot trends early on. This will allow you to come up with a winning combination of product/market of your own. Also take this advice with a pinch of salt as doing this in a simulation is fine as long as you realise that in real life you could get into trouble if you are risking it all on just one product or one market. The best method, and also the riskiest and most challenging I might add to get ahead in your simulation (as with life in general) is to always come up with something new, something which improves upon the current way of doing things and which covers a market which is not served well. The really smart simulation games will have a ‘sticky memory’ type of feature. 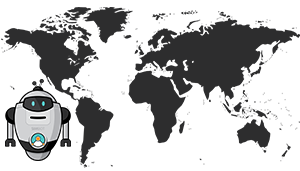 This means that your brand and products will be recognised by the virtual consumers as the original product. While you enjoy recognition you will free up resources for other activities like R&D. Of course your product's quality will always play a role in determining demand but it’s much more easier to develop something new out of an existing product or service than to introduce something entirely new to the market. Remember, the goal of being part of a simulation is to participate, to learn how to think and take action and not least to have fun. With simulations, professors want you to experiment with the concepts they are teaching in class through active learning, and are likely more interested in the way you develop your thinking rather than the results you are getting. While simulation results are sometimes used in grading, don’t ever fall into the trap of associating your simulation results with your ability to perform similar tasks in a real role as even the most sophisticated simulation can not yet determine job success, especially in a field which is evolving as fast as that of marketing. After seeing hundreds of simulation games unfold I can safely say that some of the best people which have emerged from the exercises have not been those who won the games! The true winners were those which took the time to carry out research, to learn on their own what it means to perform marketing and used the simulation to translate that knowledge into an enduring learning artefact. The very best individuals saw the experience as a starting point to explore new topics with which they interacted during the simulation. I encourage you to do the same. 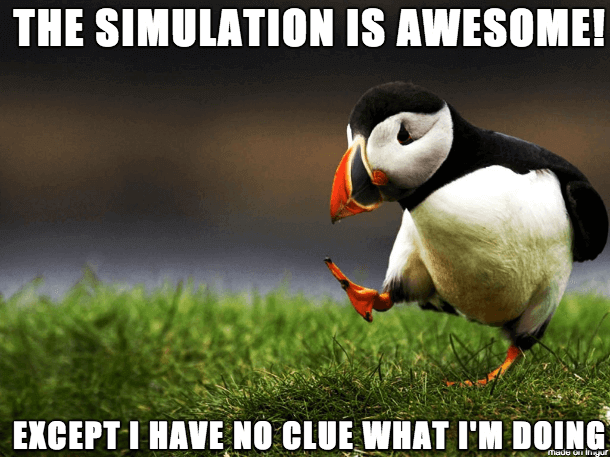 Also what you’ll find out is that with time, few people will care about how well you did on your simulation. What they will notice though is how well prepared you are in meeting the requirements of that witty marketing project you’ve been preparing for so long and for which you should be well trained by now.